I have been flying far too much for business reasons this past year, and this past week is a perfect example of the madness. I flew 20 hours of plane time in a day, and I never left the country. Sure, part of that was mileage running, but the first part was business. So, that left me very little time to cook before some of my favorite guests, what I call the “gang” was coming over for a Friday night meal. To fix that I made all the food the day before I left, froze it and unfroze it on Friday and served it Friday night. Do not fear, there were no leftovers. The wine selection was meant to be 2013 Cali Pinot Noir, but thanks to the generosity of many of the gang, that was thrown for a loop, and I am very thankful for that, as I got to taste some epic wines indeed. So, instead of just 2013 Cali, we started with a very nice 2007 Gush Etzion Spring Red, brought by AS and that was followed by a wine that I loved very much the last time I had it, the 2014 Eagle’s Landing Sauvignon Blanc. Sadly, something went VERY wrong, since we tasted it in the summer at the winery. Gone was the ripping acid and saline, in its place is more tropical fruit, banana and sweet notes. Sadly, I was not the only one to say this, as others I respect told me this very same thing a few weeks ago. I was shocked and argued vehemently that this was just not true. Sadly, once I tasted the wine that was shipped directly from the winery as part of the wine club, my friend’s allegations were brought to the forefront. This was a real shame and one that left me wanting information – if it was available. After that we started with a run of Pinot Noir wines, starting with 2012 Makom Pinot Noir, which was as good as it was last week! That was followed by the 2009 Four Gates Pinot Noir – which is hedonistic and rich in so many ways, a wine that was not appreciated at release, but one I held onto. This bottle in particular was brought by its creator – Benyamin Cantz and it was just lovely! The next wine was the 2011 Gvaot Gofna Pinot Noir, and what can I say at the meal it was DEAD! DOA was all I could say, I triple aerated it and nothing helped. THANKFULLY, I saved a bit and after 24 hours the wine was alive and beautiful. In hindsight I should have just read my own notes about this wine – and I would have seen that the wine was closed and sleeping a year ago, sadly it has yet to waken. Give this wine another year or decant it for 12 hours – which I think is absurd! Buy the wine and wait – you will be happy for it. California Wines and friends make for a great combination! Well as you can tell from my previous post about this last shabbos, this past week or so was all about California wines in my household. Friends from New York came in for a visit, very much akin to the EY visit in 2012. They came in last week and it was all Cali all the time! So, these are the wines I took out for the two evenings we were at the house. One of these was my last bottle and it is still showing well, the 2008 Shirah 1-2 punch – beautiful! The 2004 Hagafen melange was the most famous Kosher wine for some time, till the 2006 Yarden Rom was released. I never cared for the Rom, but the 2004 Melange was lovely! Elegant and refined. The rest are also doing well, thank goodness, no duds! What can I say, this wine is mesmerizing, it is soft and intense at the same time with structure and finesse, with power and elegance. WOW! The nose on this wine is sick with layers of black and red fruit, what a crazy perfume of sweet notes, chocolate covered cherry, sweet dill, and sweet plum. The mouth on this full bodied wine hits you in layers of sweet concentrated fruit, plum, sweet cedar, chocolate, intense tannin, layers of fruit, and oak all working in perfect harmony with balancing acid and sheer perfection in a glass. The finish is long and sweet and perfectly balanced with chocolate, cinnamon, roasted herb, spice. Crazy! What a wine!!! Double Bravo!!! The 2010 blend was dominated by the Touriga, while in this blend it plays more of a mop up roll, with the Zinfandel taking center stage. The zinfandel adds more insane spice that is the hallmark of the Coalition blend, but also adds more heft. The wine loses the blue fruit (from the lack of Syrah), but the white fruits show up from the small but still important role that the Touriga plays! The wine is more ripe and richer than the 2010, making for a fuller body and a more extracted madness. This wine is a blend of 60% Zinfandel, 12% Merlot, 12% Cabernet Franc, and 8% Touriga Nacional. The wine is a unique blend, just like its older 2010 vintage. The nose explodes with crazy wine aromas – the kind of attack that only the Weiss brothers can bring you, heavy notes of blackberry, burnt raspberry, watermelon, and spice. The mouth on this crazy full bodied wine is ripe, concentrated, extracted, and layered with control and style, with mad acid, insane zinberry, black cherry, and cranberry, (no more showing any note of date) that almost creates a platform upon which the other fruits stand, ripe zesty raspberry, apricot, white peach, mounds of tannin, and sweet cedar. The finish is long and spicy with cloves, black pepper, insane mouth coating tannins that linger long, nice coffee, zesty strawberry, candied currant, fig, tobacco, and mineral. This is a wine that is ripe and full bodied, but balanced with crazy tart fruit, great acid, balance, and citrus fruit!! The last time I had this wine, I seemed to have sensed date, there is NONE of that here now. BRAVO GUYS!!! This is a mevushal wine that is closed and not fun to start, but with time shows nice tropical and stone fruit. This wine is 85% Roussanne and 15% Sauvignon Blanc. The nose is tropical with guava, citrus, wet grass, straw, hay, and nectarine, and citrus. The mouth on this lovely wine is ripping with good acid, pith, grapefruit, orange blossom, floral notes, with sweet oak, and mineral, with sweet herb, and spice. The finish is long with slate and spice and mad pith. This wine is still killing it!!!! WOW!! What a rose! This wine is 100% rose of Grenache. The nose is bright and tart with crunchy roasted herb, forest floor, garrigue, red fruit, strawberry, black currant, and spice. The mouth is insane on this medium bodied wine, it starts with an attack of red currant, followed by blue fruit, tart blackcurrant, and crazy acid. The finish is long and attacking with mad acidic tart summer fruit, kiwi, candied strawberry, intense slate, mineral, and crazy tart zinberry that lingers forever, long after the wine is gone. The acid is so intense it is awesome and the fruit is ripe and expressive – BRAVO!!! This wine has not lost a step! This was my last bottle, and it started off funky in the nose, but that blew off quickly and now the blue nose is perfume – AHH how I adore you! This wine is so unique in its nose and wine notes – that it is heresy to write them down! LOL! I am not sure if this will last for days like the previous bottle two years ago, but we will see. The nose on this purple-black colored wine is truly unique and very hard to pin down. Where before the wine was not consistent in its style and notes, this wine is now showing consistent perfume and redolence that is not normal. The wine starts off with lovely sweet cherry, blueberry, juicy raspberry perfume, lovely floral notes, candied fruit, INSANE milk chocolate, and bramble. The mouth on this medium bodied wine forced me to write this acronym down for a second time in days – AYFKM (Are You Freaking Kidding Me)!! OMG and silence. The mouth is now not tart anymore, it is more round and ripe, and rich, crazy watermelon, with CRAZY ripping acid, mango, tropical fruit, followed by massive spice, ripe plum, coffee machine innards and grinds, sweet cloves, cinnamon, nutmeg, other baker spices, and rich mouth coating tannin that linger long. The finish is long and luscious with sweet cedar, tobacco, crazy blue fruit that appears after sometime, and jam that lingers long. BRAVO!! 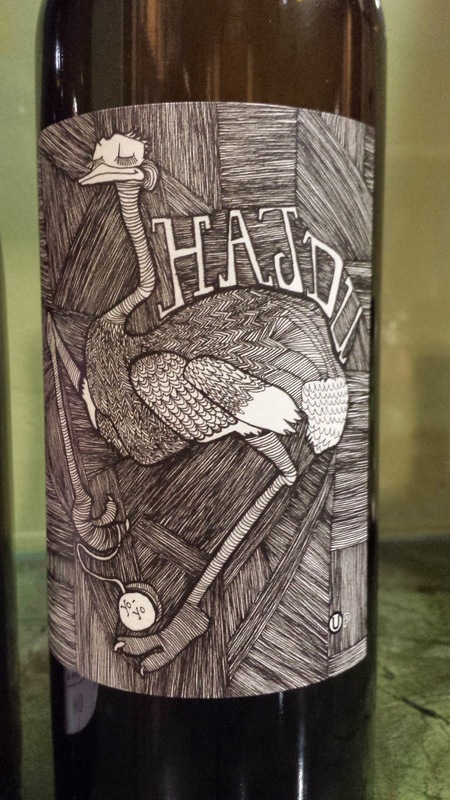 This is a Hajdu wine – Makom is one of his labels, that he started in conjunction with Yitzchok Bernstein. The nose on the Carignan wine is rich with toast notes and bushels of red fruit, ripe fruit, hints of blue fruit, roasted herb, and nice baking spices. The mouth on this medium plus bodied wine is screaming with lovely acid, ripe fruit, blackcurrant, cranberry, and sweet boysenberry, all wrapped up with lovely mouth coating tannin and sweet oak. This wine is not slowing down at all, the tannins are searing, the acid is pumping, and the wine structure continues to impress! The finish is long and tart with ripe blackberry, watermelon, and lovely layers of spice, white pepper, sweet vanilla, lingering tart red and black fruit, and sweet tannin – lovely! This is a lovely wine and one that is a bit better than the epic NV (AKA 2010) Bro.Duex. The wine starts off with a nice mineral nose with black fruit. The wine shows a nice medium body with fleshy fruit and layers of green and red fruit and black berry and currant. With sweet cedar and spice. The finish is long and acidic with graphite and slate and crazy mouth coating tannin with nice sweet notes and spice, tobacco and chocolate. Over time, the nose opens to lovely ripe and fleshy strawberry, sweet spices, and blue notes. On the mouth the tannins come out and the fruit does as well, with blackberry, blackcurrant, concentrated fruit, lovely extraction and good fruit structure. The acid is true and good. Bravo! Well, Passover has come and gone and while I will not bore you with the details, I did get to cook my brisket and drink some very lovely wines. I have to say, I was away for this Passover from our home, and I brought some wines with me, many of which were great. However, I also visited Hungarian Kosher in Skokie, IL, the original home of kosherwine.com before they sold out to JWines. When I was there I was happy to see that they were still selling lots of wine from all of the main distributors. The entire story of what happened to kosherwine.com and why it moved over to JWines, is not a mystery and much as it is politics and stuff I do not get into. This blog again, to remind many, is really for me to keep track of my notes and my wines, something I also do on Cellar Tracker. Still, when massive chances like this happen to the kosher wine industry some think I need to talk about it. Well, I do not agree. I like to converse about the overall wine industry, and the things I find issue with, such as the high cost of kosher wine, French Wines, and the date juice coming out of Israel. The story of kosherwine.com is really not my business; it is between Dan and JWines and other people who I am friendly with, and something that is better left for table fodder. Now, on to the wines. I was very happy to see a bottle of the 2002 Chateau Leoville Poyferre. WOW what a bottle! Another blockbuster wine that I enjoyed was the 2013 Harkham Shiraz, Aziza. 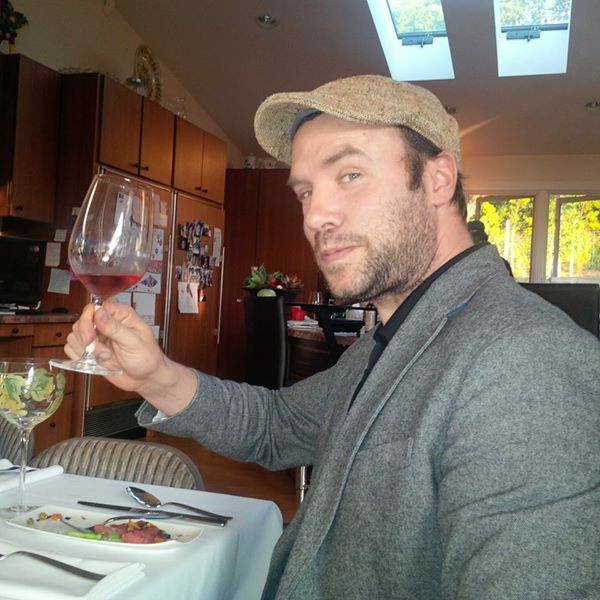 We have spoken about the Harkham Winery and Richie Harkham here and here. The funny thing about this Aziza bottle is that the KA kosher supervision is not actually printed on the label! Mr. Harkham told me it was because of some glitch, and he sent me a letter from the KA, which stated clearly that the wine is officially kosher. The next blockbuster was the 2009 Four Gates Merlot and the 2011 Four Gates Chardonnay. Both of them were insane and rich and really opened some few days after they were opened. Finally, the rose and whites from Hajdu and Shirah are still rocking and rolling and so are their new ones! Bravo guys! After the blockbuster wines – I was lucky to spend some time with friends and family and we each shared wines with each other. My uncle shared a lovely bottle of the 2012 Quinta da Aveleda Vinho Verde Kosher Grinalda! I have never had this wine before, it is a white blend of some crazy grapes, I never heard of that was made in Portugal. I was skeptical to start – but WOW what a great wine and it is DIRT cheap. Sadly, it is only sold in Illinois. So, go to Binny’s or Vineyard’s in Lincolnwood and buy some. My other friends, GM and RM shared two bottles of wines that they were aging for some time, maybe a bit too long (wink). They were a 1994 Yarden Merlot and a 1999 Hagafen Pinot Noir! Wow, sadly, they were both over the hill for sometime, but what a joy, honor, and experience to enjoy then with my friends. I shared with them a bottle of the 2013 Goose Bay Fume Blanc. The trade was nowhere near fair, but they were just being kind and I was happy to share more, but they seemed happy with that option. Shockingly, the star was yet another wine – a 2003 Weinstock Cellar Select Cabernet Sauvignon! That puppy was insane, rich, layered, black and mouth coating – LOVELY! That was a wine that was opened at its peak and we all GREATLY enjoyed! The other visit was to BC and CG, CG made some two wicked cool brisket and other tasty side dishes. I shared the left overs of the 2002 Leoville Poyferre, the 2013 Aziza and they shared with me a lovely bottle of the 2008 Ella Valley Vineyards Vineyard’s Choice Personal and the 2012 La Fenetre Red Blend. Many thanks guys and feel better soon CG!!!! Please post what you had for Passover, or at least your favorites ones from Passover!! What you will find is a sad fact that even in warm climates, red wine rules. This post is not meant to take the place of my previous white, rose, and bubble posts of the past, but it is meant to augment the list with a few more current ones. I truly feel that people have yet to appreciate whites, for the most part, because they do not see the genius and layers in white wines, like they do in red wines. To me this dichotomy is very much akin to the French versus the Bold in your face DJL wines. If I had one wish this year it would be – please try some really good white wines! Please! Why? Because they are very good? Kosher white and rose wines are really improving, IMHO, far faster than their red alternatives. In Israel, this revolution is improving by leaps and bounds! California continues to be king for me when it comes to easy to find and unique white and rose wines. Look at the success by Covenant Winery, Hajdu Winery, Shirah Winery, and Four Gates Winery! 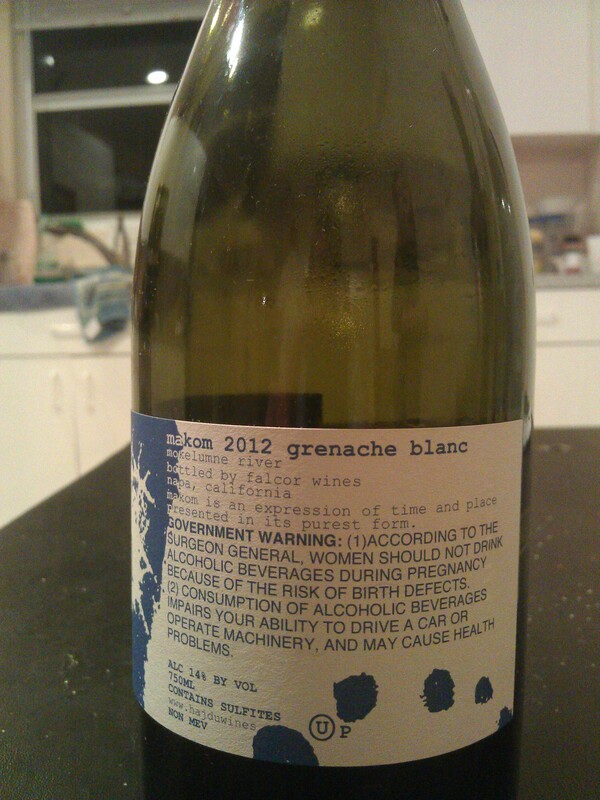 Where else will you find a kosher white grenache? Covenant continues to hit homeruns with their Sauv Blanc and Chardonnay wines. Shirah’s whites and roses wines continue to impress. Hajdu’s blanc is awesome! Four gates Chardonnay is some of the best out there in the kosher wine world. With all that aid, Israel is really doing itself proud in the world of white and rose wines! Truly impressive! From Ella Valley’s FANTASTIC 2013 wines to Tabor Winery’s impressive whites. One of the safest bets out there right now is a white wine from the 2012 or 2013 vintages from Israel. WOW! That statement alone is a shocking fact! A few years ago I would not drink much white wine from Israel, other then a few sparing Chardonnays. Now? Flam, Ella Valley, Yatir, Tabor, Teperberg, Dalton, Netofa, and on and on goes the list! The wineries are just coming out with home run, double, triple, home run after home run! Sure, there are a few bad apples in the bunch, but a safe bet is a safe bet – and that is an awesome thing to know! To be fair, the best rose and the best white wines (other than Chard), I have had this year come from Shirah Winery and Hajdu Winery. Why? The 2012 Shirah Rose and the 2013 Hajdu Gris Rose are the best of the best. Sure, the Ella Valley, Netofa, Lueria, Flam Roses are nice, but those two are on a separate level. Same goes with the 2012 Grenache Blanc. The 2013 is nice, but not on the same playing field. There are so many home run whites from Israel though, including Tzora, Flam, Ella Valley, Teperberg, Tabor, Yarden, Dalton and others. Still, the 2012 Makom is one of those wines that will stay with me for a long time BRAVO Jon!!! It has been quite sometime since I last posted, it is a mix of many things that has limited my access to time to type up all my notes and thoughts. Over Passover we enjoyed a few wines and many of them were in the theme of Rhone wines, including two that were actually from the highly vaunted Chateauneuf du Pape wine region (a sub region of the Rhone wine region). I have written extensively about Rhone wines from the best kosher purveyors of these lovely wine varietals; Syrah, Mourvedre, Grenache, Carignan (accepted by the Rhone Ranger community), Petite Sirah (same with this varietal), Grenache Blanc, and Roussanne. These varietals are gaining traction in the kosher wine world, with great help from Netofa Wines, Vignobles David Winery, Reacanati Winery, Hajdu/Brob Wines, and Shirah Winery. There are many wineries making a wine or two from the Rhone varietals, but few have taken to the varietals like the list above. Recanati may well be making Cabernet and the such, the Mediterranean labels are almost all Rhone in style and varietal and it has been a boon for both buyers and the winery. The Carignan Wild has been a huge winner for the winery, the Petite Sirah is magnificent, and the white RSR is now a unique blend of Roussanne and Marsanne. But the best wine from the Med series may well be the 2012 Marselan – an absolutely insane wine. Of course, when you think Rhone Ranger and Israel, the real ranger MUST be Pierre who released his first wine under the Netofa Winery label in 2009. It was an entire line of red and white wines based solely on the Rhone and Loire Valley varietals. Since then he has branched out to Portugal grapes, but the red and rose Netofa and Netofa Latour wines are all Rhone varietals. The white varieties are Chenin Blanc from the Loire Valley. This past week I spent some time with family and we enjoyed some great white and red wines. Mostly white and rose wines were enjoyed simply because I was in a very hot climate (no not the Bay Area), and so white and rose wines were truly the only option. I wanted to have some red wines so I included two reds that I have been wanting to taste for a long time and both were great. The only real “let down” was the Tavel Rose which I have still not come to appreciate. To me it lacks the bracing acidity and it is far too bitter, for my tastes.